I love wild, healthy forests and over the last 20 years I've worked on a number of initiatives to conserve them—mostly in South America. Sometimes my role is as a botanist. Other times I'm a team manager or report editor or spokesperson or grant writer. See more on the specific projects below. Over the years I've learned a lot about conservation from Debby Moskovits, John Terborgh, David Neill, Randy Borman and the Cofan indigenous people, and my colleagues at the Amazon Conservation Association and the Asociación para la Conservación de la Cuenca Amazónica. For blogs and essays about my conservation work, click here. The Field Museum's rapid inventory team partners with governments and indigenous peoples in the Andes-Amazon region to protect wilderness areas that aren't parks but that probably deserve to be. Our teams of biologists, social scientists, and local experts carry out inventories of the biological and cultural assets of these areas, and use them to build arguments that have helped create 17 new parks covering more than 21 million acres. I've collected plants on seven rapid inventories and edited ten inventory reports. More here. In 2002, John Terborgh and a team of biologists and social scientists mounted an expedition to the Alto Purús watershed, in southern Amazonian Peru. The following year our team published a 350-page book summarizing what was known about the area and laying out recommendations for its conservation. One year after that, the Peruvian government declared Alto Purús National Park and protected an area of Amazonian forest the size of Massachusetts. More here. 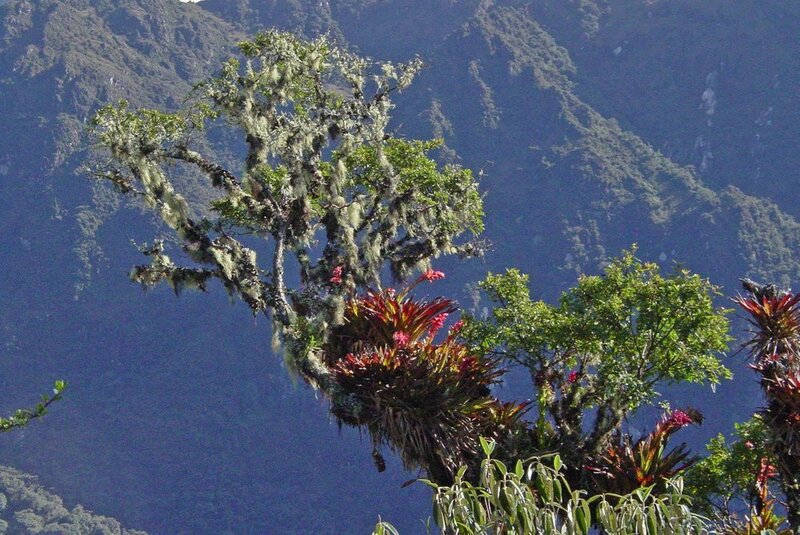 Since 1997 I’ve worked with Ecuadorean and Peruvian colleagues to produce two compilations of what is currently known about the countries’ >10,000 endemic plant species. That work led to the creation of Ecuador's first list of endangered plant species, the listing of thousands of species on the IUCN Red List of Threatened Species, and a paper in Science arguing that 22–47% of plant species on Earth may be globally threatened. In 2016 I co-authored a paper in Science Advances proposing threat categories for 15,000 Amazonian tree species. More here. Since 1999, researchers working under the aegis of the Field Museum’s conservation programs have developed a large number of free, public tools intended to accelerate conservation action. Today these tools are used by nearly 100,000 people every year and recognized around the world as valuable assets for conservation biologists, researchers, park guards, indigenous groups, teachers, students, and naturalists. I've directed the conservation tools team since 2014. During my tenure at the Los Amigos Conservation Concession in Amazonian Peru, I oversaw a monitoring regimen in which park guards conducted regular surveys of birds, mammals, caiman, and turtles along forest and river transects. The monitoring, some of which continues today, offers one of the first looks at how Amazonian animal communities rebound when hunting and logging end and protection begins. More here.